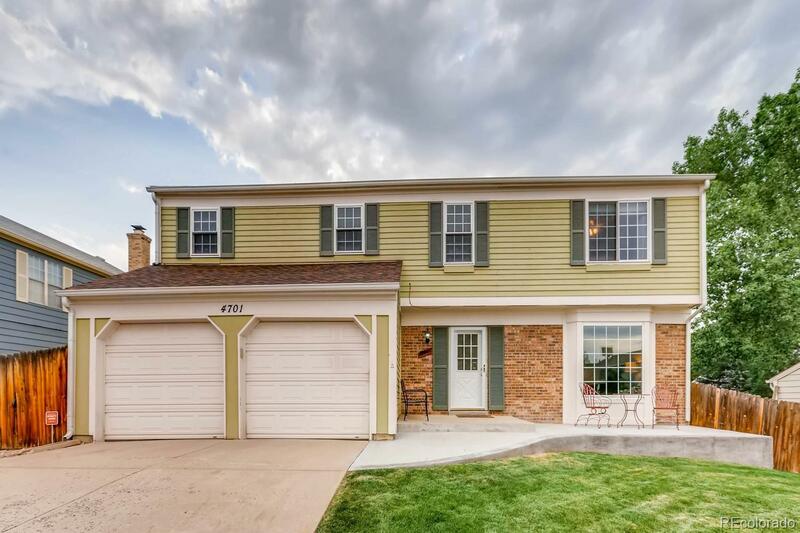 Beautiful 4BR/3BA move in ready home nestled in quiet neighborhood in Morrison ( just East of C-470 and Belleview). This spacious home features a new roof, new furnace, new AC, new custom 18x20 shed, brand new $15,000 front porch and back patio. Inside is immaculate, remodeled bathrooms, newer appliances, new ceiling fans, new flooring and paint throughout. This home is move in ready. Large attached 2 car garage with an additional pad to park a 5th wheel or RV parking. Walk to the community pool or the park. This home has it all. The unfinished basement is just awaiting your special finishes. Quick Possession is an option.